First Lieutenant Edward Selby was born in Chicago, Illinois on June 25, 1894. He was killed in the line of duty in Paso Real, Nicaragua on March 9, 1930 while serving as a Captain of the Guardia Nacional. He was buried with full military honors in section 4 of Arlington National Cemetery. According to the Marine Corps’ investigation into Captain Selby’s death, Selby was in command of a Guardia patrol operating out of Jinotega and that had camped for the night near Paso Real. Selby had posted two Nicaraguan sentinels. Selby, who spoke Spanish, instructed the two sentinels that before firing at a suspicious object or noise, they should challenge and fire three shots into the air. Captain Selby then set out in the company of a Marine Corps Lieutenant (noncommissioned officer) to inspect the security of a corral gate where the patrols’ animals were kept but which was outside the limits of the camp and the line of the sentinels. The investigators stated that apparently Selby failed to notify the Guardia members or sentinels that he was going outside the limits of the camp. This would have been an error because Selby had defective hearing and the patrol was, at the time, in a bandit-infested region. 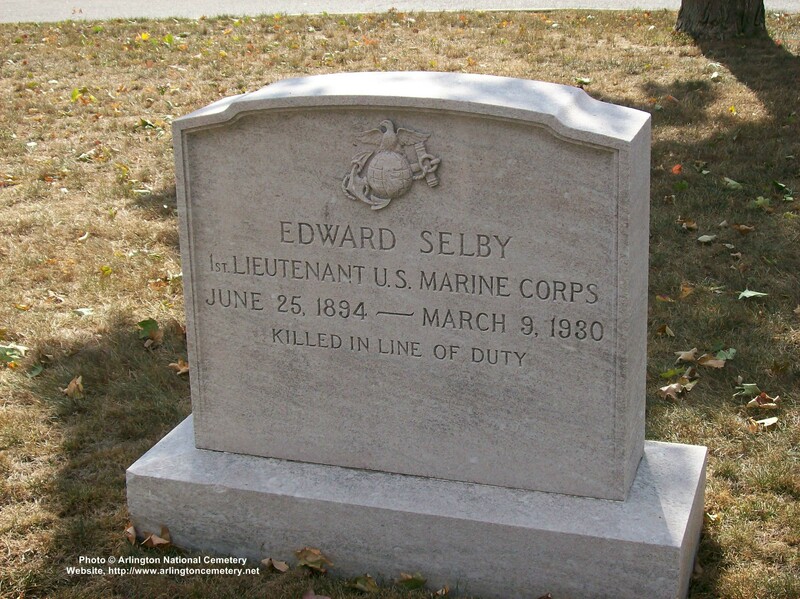 When the two Marine officers were returning to camp, one of the sentinels disregarded Captain Selby’s order and fired on the two officers at a range of about fifty-two yards, no challenge or warning shots having been made. Captain Selby was struck and killed instantly. The investigation showed an apparent lack of premeditation on the part of the sentinel, but concluded instead that the sentinel, who was illiterate and of limited military training and experience, was likely under nervous tension because of the presence of bandits in the area. Thus, the incident was determined to have been an accident. 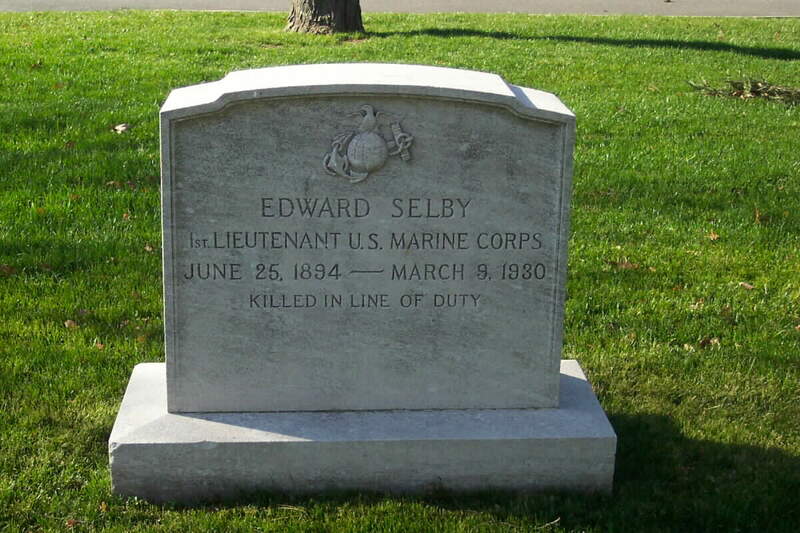 Selby first enlisted in the Marine Corps in 1912. He served in the first Nicaraguan Campaign in 1912 in the 1st Battalion in Leon and was then stationed aboard the U.S.S. Connecticut in 1913 through 1914. He returned to serve at the American Legation in Managua, Nicaragua in 1915. In 1916 Selby was discharged with a good conduct medal and re-enlisted as a Corporal that year. From 1916 through 1922, Selby served both in the Central Recruiting office in Chicago and at the Naval Station in Guam. He received his commission as a Second Lieutenant in 1918 and was commissioned as a First Lieutenant in 1922. During these years, he also received training at Quantico. 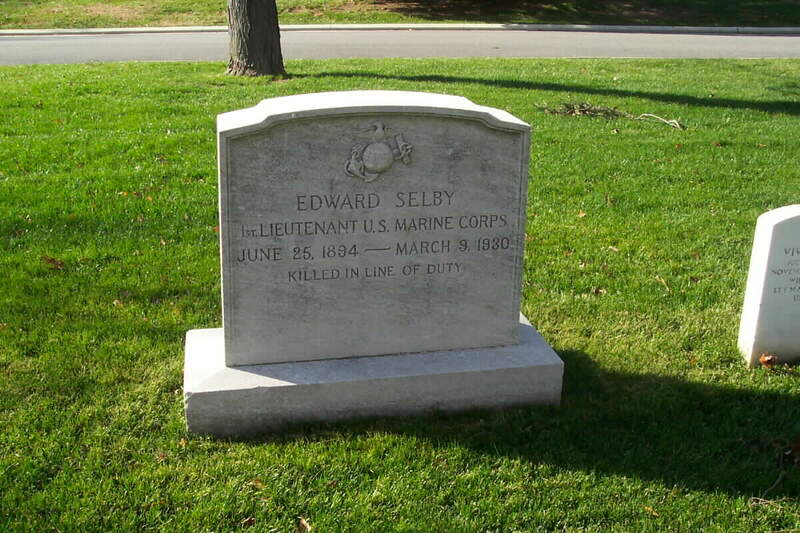 Beginning in June of 1922 through 1924, Selby Commanded the Marine Detachment aboard the U.S.S. Savannah and served as the Submarine Division Atlantic submarine flotillas small arms instructor and as Judge Advocate of GCM. Selby was assigned to the 5th Regiment at Quantico during 1924 and 1925 and in 1926 he served in the 87th Company Signal Battalion and Anti-Aircraft Company as a gunnery officer and counsel for the defense at Quantico. In 1927, First Lieutenant Selby served in the Eastern Mail Guard in New Orleans and Philadelphia. Also, that year and in 1928, he served in the 6th Regiment in Tientsin, China including as an Adjutant and Intelligence Officer. In 1929, Selby was stationed at the Navy Yard in Charleston, South Carolina, until he was detached to Nicaragua in November of 1929. First Lieutenant Selby was survived by his beloved wife, Anne McBride Selby, and his beloved daughter, Betty Anne Selby.